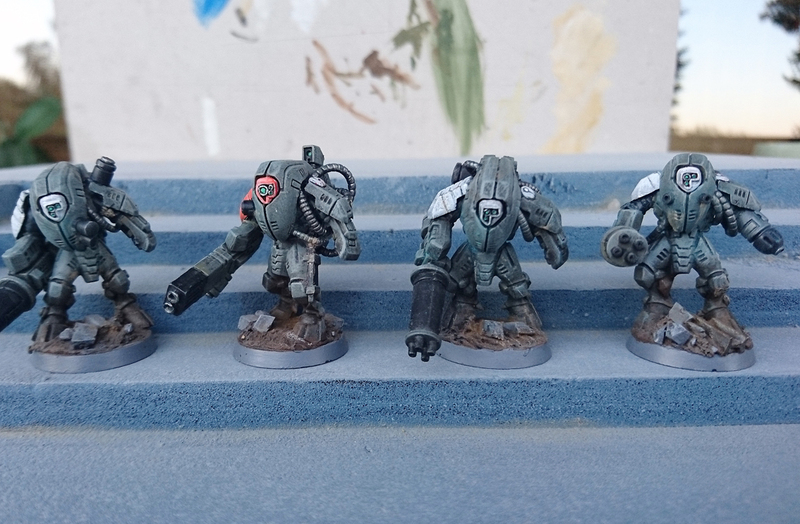 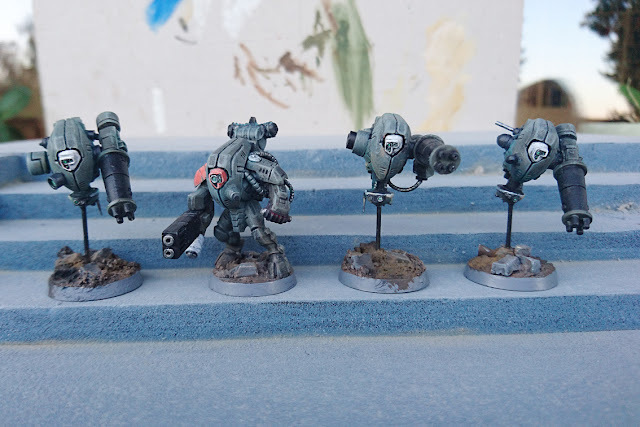 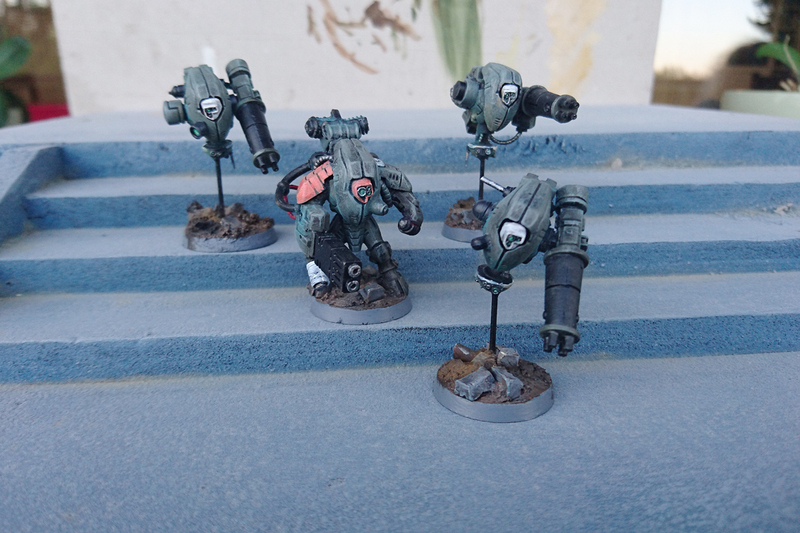 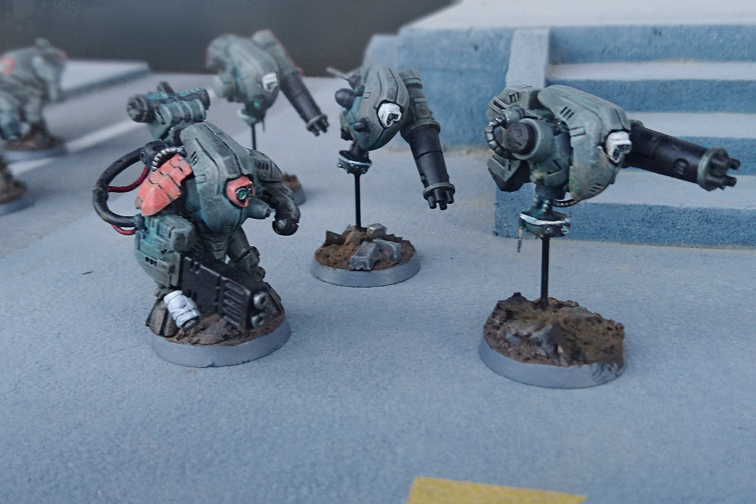 Tau Stealthsuits that i wanted to rework for some time. 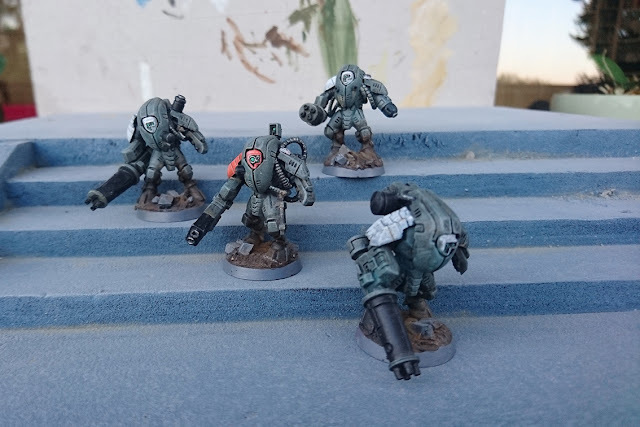 After the fun i had with the shrine sentinel (https://www.facebook.com/minimoped/posts/1215236318489438) i wanted to take that idea back to my Tau force to build one of my two squads into a drone-squad (led by one controller). The other just got a little tweaking, wires and extrusions for some additional bulk and to get a little bit away from the clean gw-aestethics more into the Maschinenkrieger-direction.